The term "lemur" is derived from the Latin word lemures, which means "spirits of the night". This likely refers to many lemurs' nocturnal behavior and their large, reflective eyes. 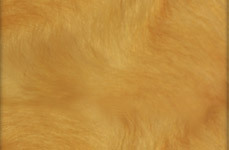 It is generically used for the members of the four lemuriform families, but it is also the genus of one of the lemuriform species. The two flying lemur species are not lemurs, nor are they even primates. Lemurs are found naturally only on the island of Madagascar, and some smaller surrounding islands, including the Comoros (where it is likely they were introduced by humans). While they were displaced in the rest of the world by monkeys, apes, and other primates, the lemurs were safe from competition on Madagascar and differentiated into a number of species. These range in size from the tiny 30 gram Peters' Mouse Lemur to the 10 kilogram Indri. 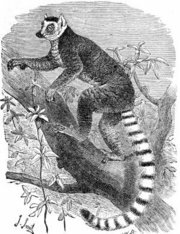 The larger species have all become extinct since humans settled on Madagascar, and since the early 20th century the largest lemurs reach about 7 kilograms. Typically, the smaller lemurs are active at night (nocturnal), while the larger ones are active during the day (diurnal). The small cheirogaleoids are generally omnivores, eating a variety of fruits, flowers and leaves (and sometimes nectar) as well as insects, spiders and small vertebrates. 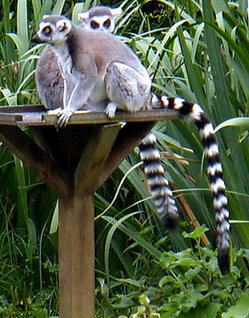 The remainder of the lemurs, the lemuroids are primarily herbivores, although some species supplement their diet with insects. All lemurs are endangered species, due mainly to habitat destruction (deforestation) and hunting. Although conservation efforts are under way, options are limited because of the lemurs' limited range and because Madagascar is desperately poor. Currently, there are approximately 52 living lemur species. In some remote areas of Madagascar, the cultural motivation behind posting lemur hunting traps are that of indigenous superstition that lemurs are omens and harbingers of bad fortune. This hindsight is commonly inspired by the lemur's unique features. One of the foremost lemur research facilities is the Duke University Primate Center. Prices current as of last update, 04/16/19 12:35am.